The day of indulgence is finally here. 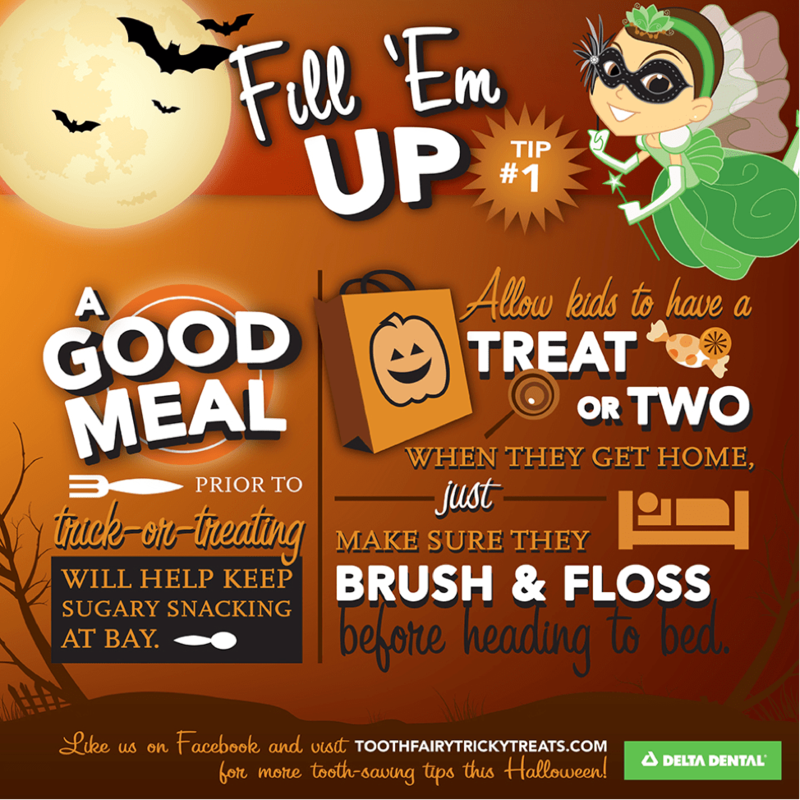 If your kids are like most, they have probably been talking about all the candy they’re going to eat. Your child may even have a list of which candies he will eat first, followed by a second and third choice. While we will not tell you to deprive your children the joy of chowing down on Halloween candy, we will give you a few tips. The most important thing to do before trick-or-treating is to fill your child up with a big, healthy meal. The more full your child is, the less likely they are to overeat sugary confections. Limit the number of treats your children get to eat before bed and make sure they brush their teeth before hitting the hay. Do you have any tips for parents this Halloween? Tell us in the comments! A little candy is fine, and everyone deserves a treat on Halloween and through the holiday season, but be aware of how much extra sugar your kids are getting in the coming weeks! Gummy and sticky candies love to stick between teeth, so make sure your kids are also flossing each night. Thank you for your comment! Gummy and chewy candy is the worst for teeth! Chocolate is a much better treat.